You all know my love for repurposing, and Christmas is the perfect time for it. Instead of buying stuff that will end up in a box later, I prefer to look around the house to see what I can use as home decor for the season. 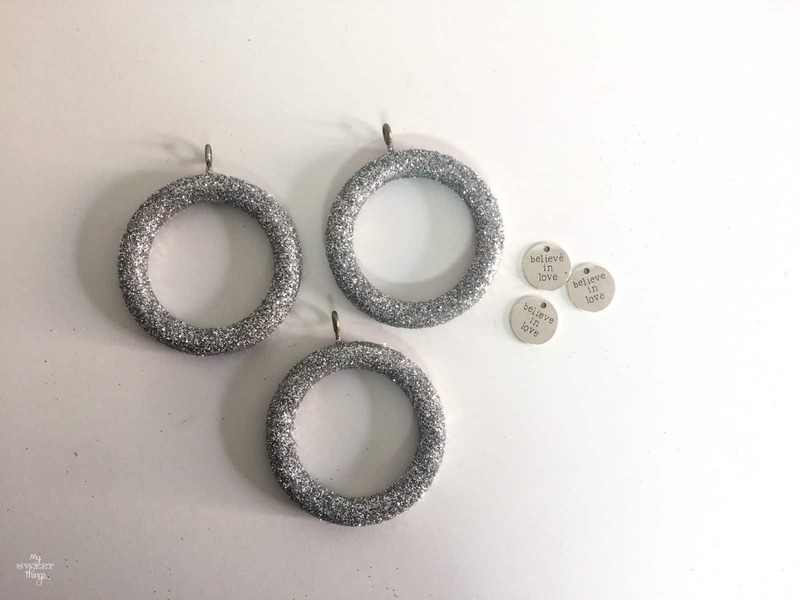 In my search I was able to find a bag full of curtain rings. Personally, I don’t like to hang my drapes using curtain rings but these were a free gift and free is always welcome! 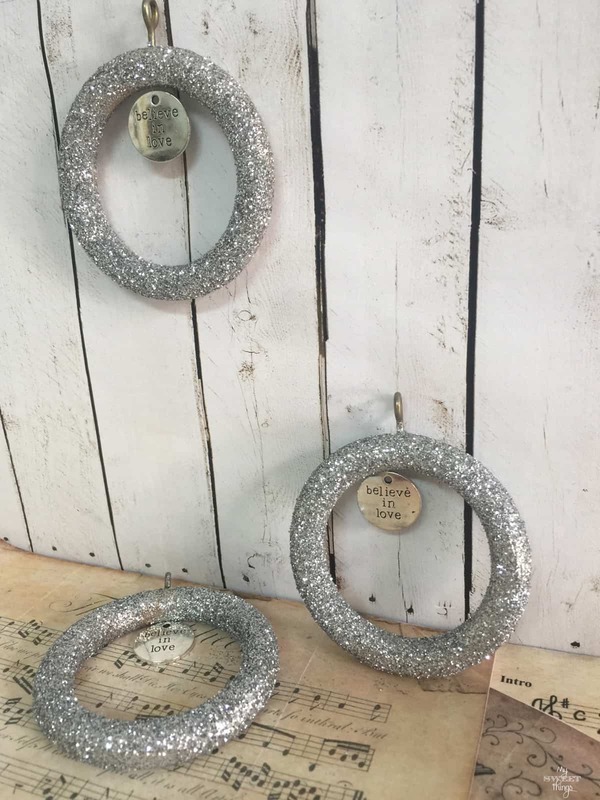 As soon as I saw them I had an idea, I could wrap some twine around the rings and I would have some cute Christmas ornaments. 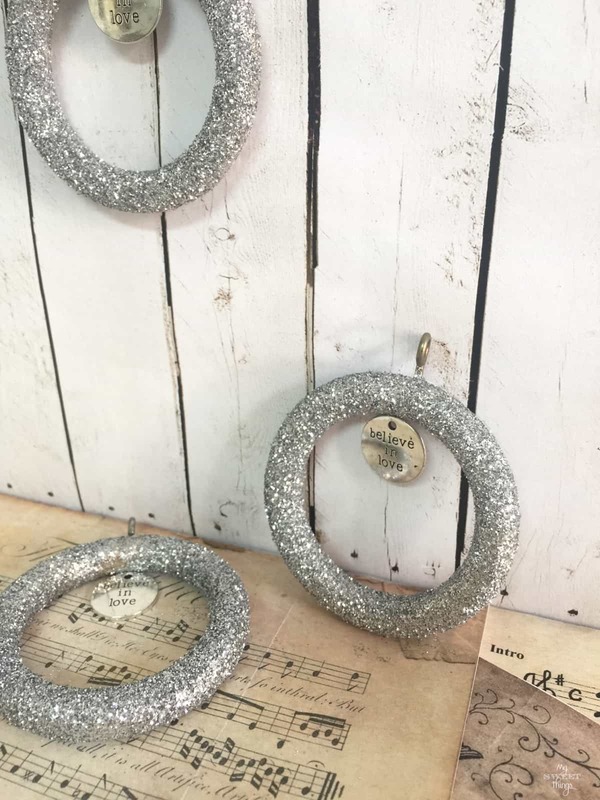 But thinking about it twice the twine thing didn’t sound like the right material for them, for me Christmas is bright and shiny, so glitter it had to be. I will share the how to below and I promise it is so easy that even a kid can do. Just keep an eye on him/her during the glitter part unless you want your house covered with it. I will share the products I used for your convenience. There are affiliate links for your convenience, you can read my full disclosure. The first thing is to prepare all the material at the same time. 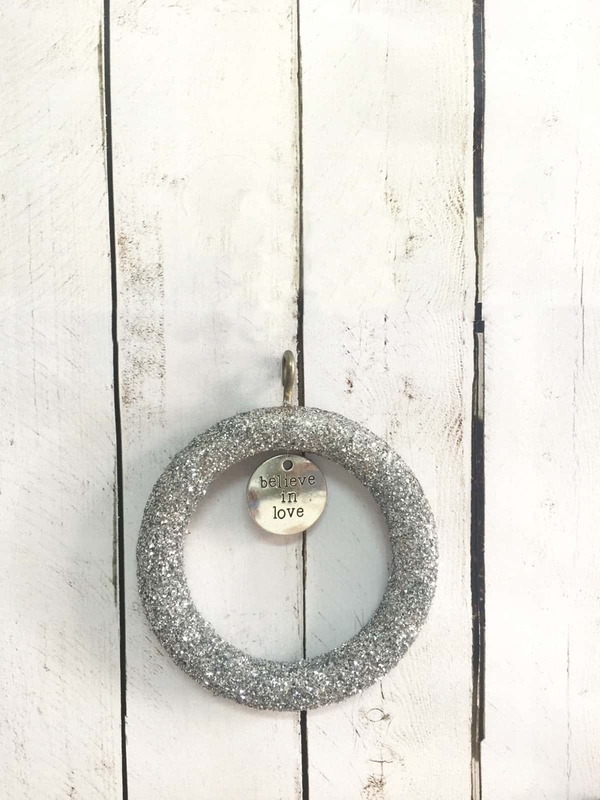 You don’t want to start looking for something with your fingers full of glitter, right? 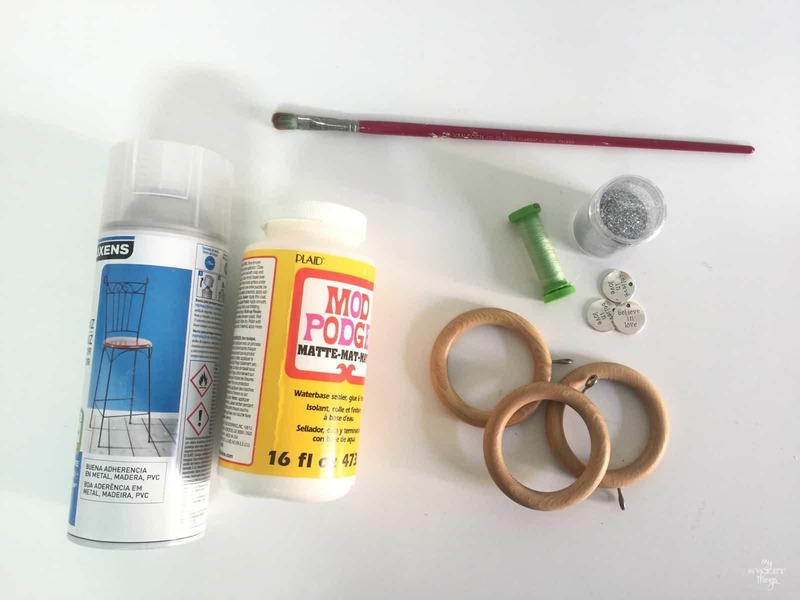 Apply a coat of ModPodge to the ring, and make sure you don’t leave any spot without it. Pour some glitter on them and they could be ready. I made an extra step to make sure the glitter stays in place better. After they were covered with glitter, I spray varnished them and still wet I added a second coat of glitter. 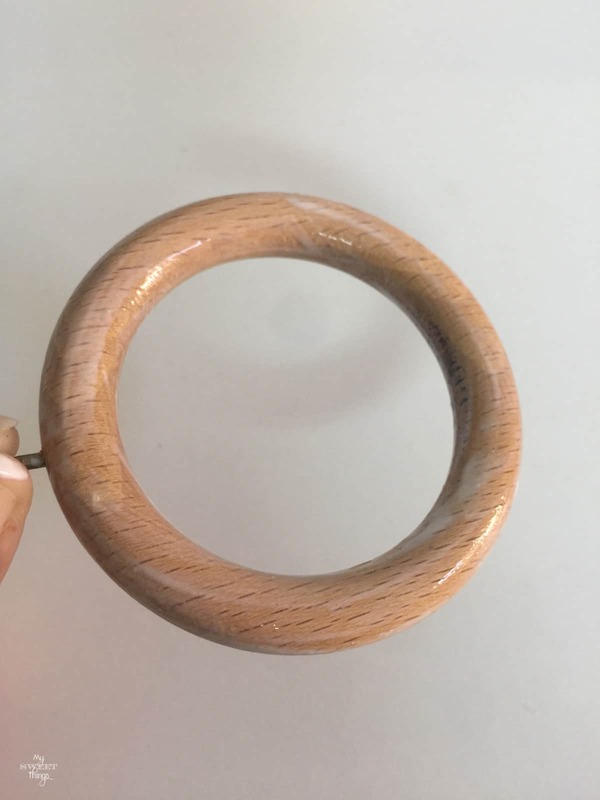 Then it’s time to use the nylon thread to hold the charm. They took less than one hour to put together. 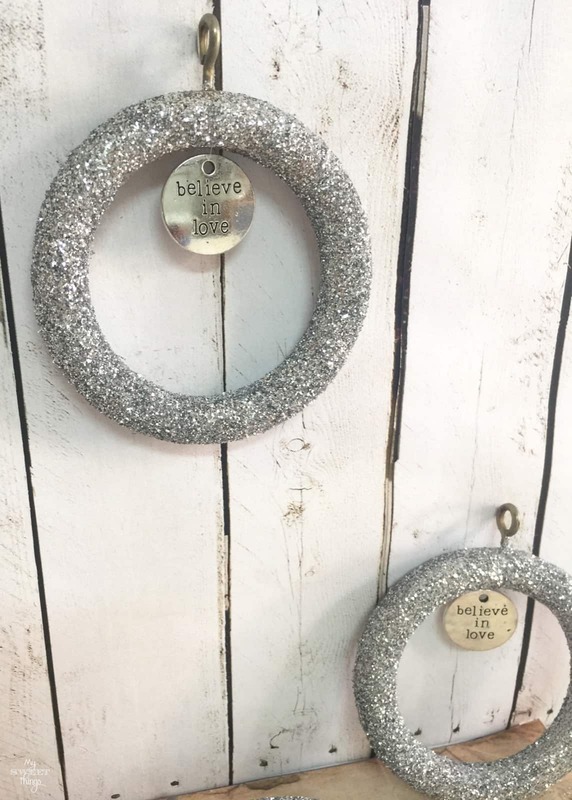 These are great to do with kids, you know they like glitter a lot. 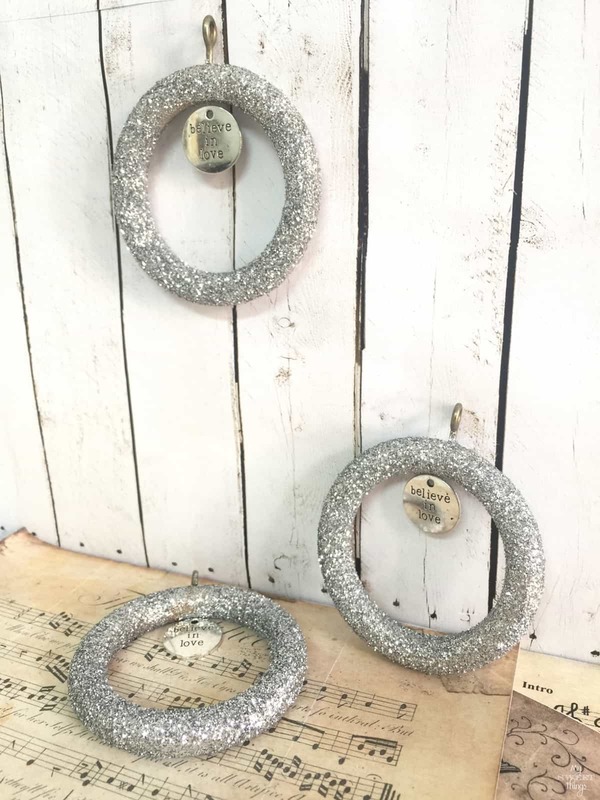 Even the eyelet is perfect for hanging them on the tree or wherever you prefer. 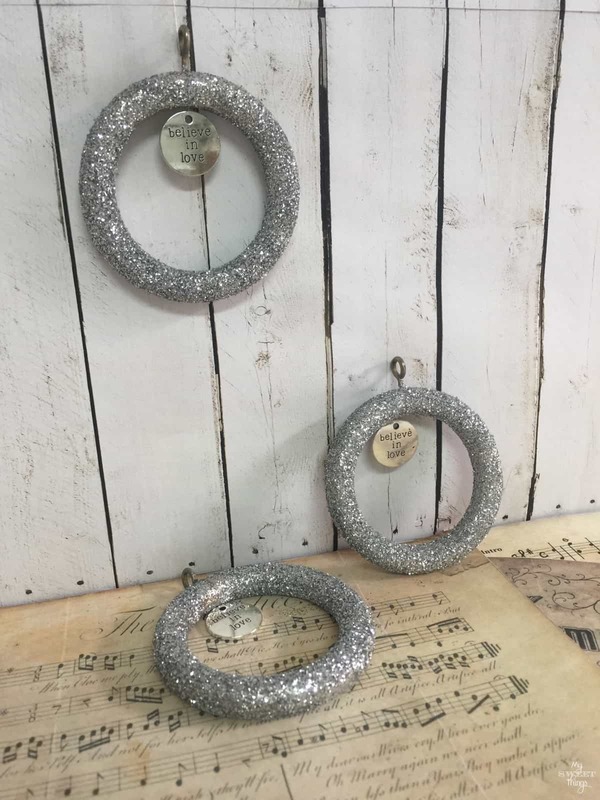 I really like these curtain ring Christmas ornaments! If you already have all the supplies at home, they are free! 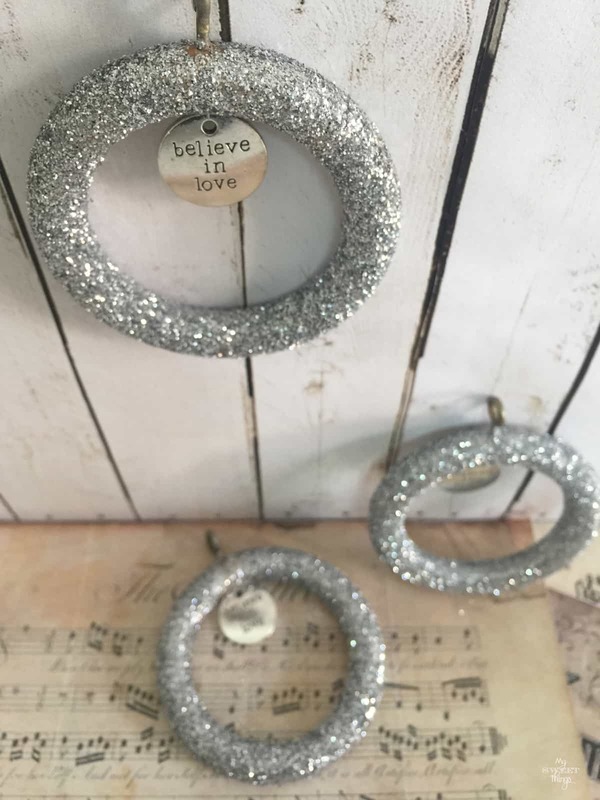 This entry was posted in DIY and tagged Christmas, Glitter, Ornament, Repurpose. Pili these are so sparkly and pretty. Just what is needed for a Christmas Ornament. I love that you were able to repurpose them too. I love these and I have everything you need to make them. They are so sparkly and lovely. Oh you and the girls must had so much fun making these Pili. They’re too cute and they do make lovely, easy Christmas decorations. 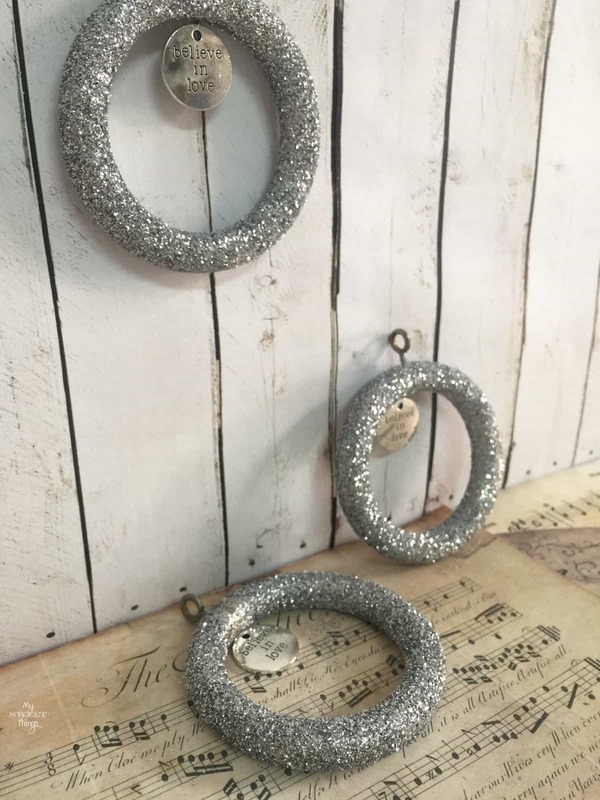 Pili, what a beautiful way to repurpose the curtain rings!! The ornaments are beautiful!! I agree Pili, you have to have some glitter for the holidays! 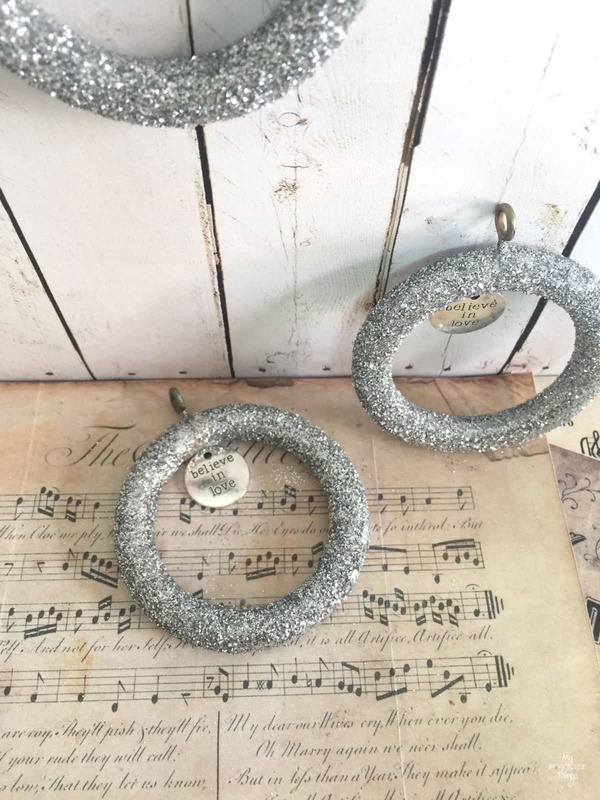 Your ornaments are beautiful and I like that you were able to repurpose items you already had on hand! There have been so many wonderfully creative ideas shared during this Exchange! That is so cute! I love the charm on it.